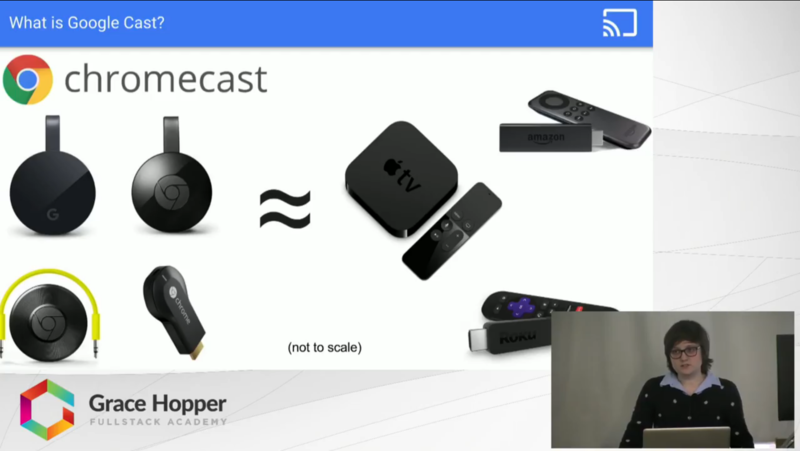 In this video, Claire Freehafer gives an introduction to Google's answer to the recent popularity of streaming media: Google Cast. She explains what Google Cast is and how it's utilized from a user's perspective before diving deeper into how it works under the hood. By the end, Claire hopes that you will be able to describe the difference between a sender application and a receiver application. And want to buy a Chromecast.